Flyin’ & Sparky on remix duties with this Mozz & Speedy B track. Really subtle track, this one. It’s got a bit of everything. 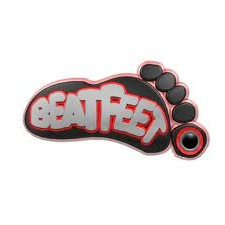 You can find out more about Beatfeat Records either on SoundCloud or their website: beatfeatrecords.co.uk. As usual, download link and YouTube video below. This entry was posted in Free Tracks, Track Releases, YouTube Videos and tagged Beatfeet Records, Flyin', Mozz, Sparky, Speedy B. Bookmark the permalink. Track Release | Quosh Records – 100th Release – Four New Tracks – 28.02.11.